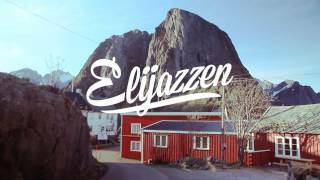 Eliassen Rorbuer cabins are located in a tiny fishing village on Hamnøy Island in Lofoten. The surrounding area has had a relationship with cod fishing for over a thousand years. In local pubs, all stories are of fishing adventures from past and present. Spectacular nature, silence, midnight sun, northern light, storm, breathtaking sea and mountain view, fishing boats and fishermen’s cabins – the genuine Lofoten atmosphere is right here. Few places come with such spectacular views of the Hamnøy harbour, Reinefjord, and the surrounding mountains. The area around Eliassen Rorbuer provides a diverse range of possible physical and cultural activities. Get lost in the mountains, look out for 100 different bird species, or learn about Lofoten’s history in one of the museums. The area is best known for its fishing opportunities, once hosting fishermen from all over Norway during the world’s largest annual cod-fishing event. Fishing season takes place from January to April. Other water activities include kayaking, surfing, and deep-sea rafting. Diving and snorkelling are the most exciting in spring! Companies cater to various experience levels and ages. A range of scuba diving courses are also available. You’ll have the chance to see kelp forests, fields of algae, spectacular jellyfish, urchins, and starfish. Of large fish species, you may see: halibut, cod, wolfish, and flounder. Start your adventure from Ballstad, Ramberg, or Reine. The Elijazzen Festival is organised every spring at Eliassen Rorbuer. It has hosted the likes of Wojtek Mazolewski Quintet from Poland. The Cellolyd Festival is a smaller festival taking place in Reine at the beginning of August each year. In addition to classical and contemporary concerts, they also work together with a variety of vocalists. These vocalists, on this occasion, replace their own bands with the festival ensemble (consisting solely of cellists). At the “cello pub” you will hear everything from hip-hop to dance music, all played on cellos. Also in Reine, this festival takes place every June at the Reine Culture Centre. Throughout the year, the centre is home to a collection of works by artist Eva Harr, and multimedia show by author and photographer Frank A Jenssen. You’ll also want to check out the new design and souvenir outlet opened by Maria Krüger Enge Kirkesæther and Karl Henrik Kirkesæther. 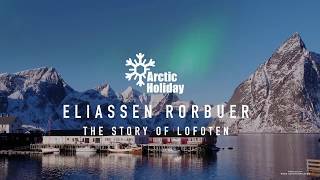 Eliassen Rorbuer cabins are located on the island of Hamnøy by the spectacular fiord of Reinefjord, in the wild and beautiful western part of Lofoten, nearby Reine. The closest airport is Leknes, 55km or about a 1hr drive.